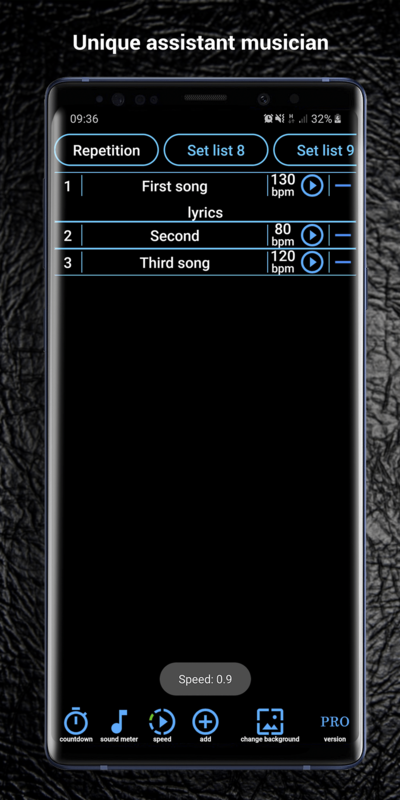 Organization of set lists, metronome, audio player with the function of slowing down and preliminary counting, a convenient catalog of lyrics and the ability to save and transfer customized set lists. 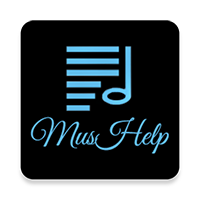 MusHelp - solves your problem with organizing rehearsals, create set lists with the right order, lyrics and audio tracks are now always at hand, set the exact tempo of the composition using the built-in metronome with pre-counting function, slow down the audio for training at lower rates. Hold your finger on the desired item to activate additional functions: keeping your finger on the title, open track or set list editing, stop playback instead of pause, return to normal playback speed and replace the audio track of the song, having previously removed the path to the previous one by long pressing the basket in the window track editing. Save customized set lists to a file and share them with other members of the group. Google Play: Find the name of the application "MusHelp"